1. Minu laupäevane ''lebo outfit'' ja minu ''not there yet'' kõht. Aga tunne on ikka aina parem. :) / 2. Ahjulõhe - üks minu lemmiktoite kindla peale. / 3.Proovisin järgi Vita Liberata tannerid ja nüüd näen küll väga suviselt pruun välja. Igatahes olen tulemusega enam kui rahul! / 4. Mu uued patupäeva pusad Fiorellashop.com-ist! Jõhkralt armsad ja see roosa on minu kindel lemmik!! / 5. Peace! ( Pluus on pärit SIIT ) / 6. Banaanid - minu igahommikune puuvili kaerahelbepudruga. Snapshots from my phone. This week was crazy for me - I finally live in Tartu and today is my second full day officially living here. 1. 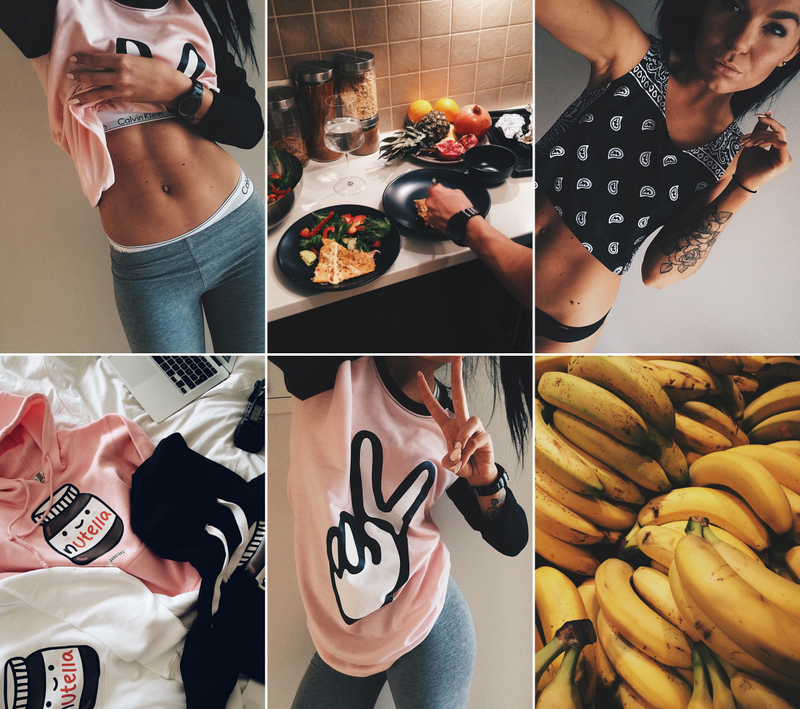 My ''Saturday mood'' outfit and showing you my ''not there yet'' belly. But I'm starting to like it more and more. :) / 2. Salmon we cooked. It was so jummy! / 3.I tried out Vita Liberata tanners and I look so crazy tanned now. This thing is great! / 4.My new cheat day outfits from Fiorellashop. How cute is that?? This pink one is my absolute favorite. / / 5.Peace! (Shirt from HERE ) / 6. Bananas - a thing that goes always with my oatmeal. BTW, It's your last chance to enter SIMPLE SESSION giveaway that you can find from my Instagram ( under the pic above ). 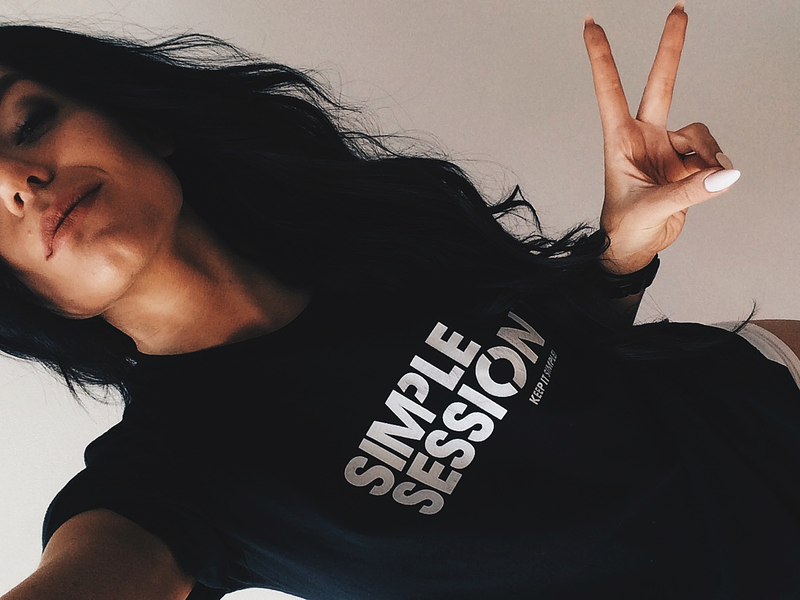 Simple Session takes place in less than two weeks! Raise your hand if you attend!